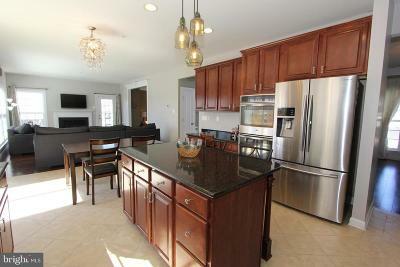 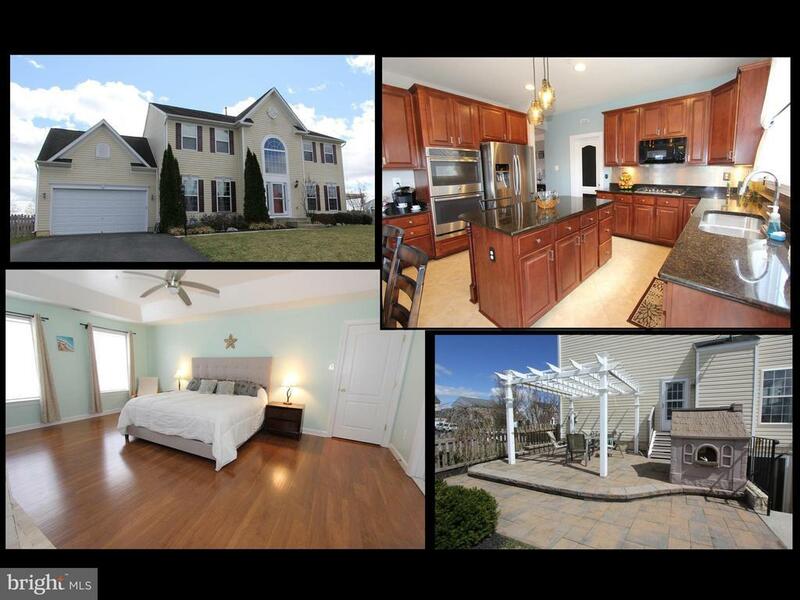 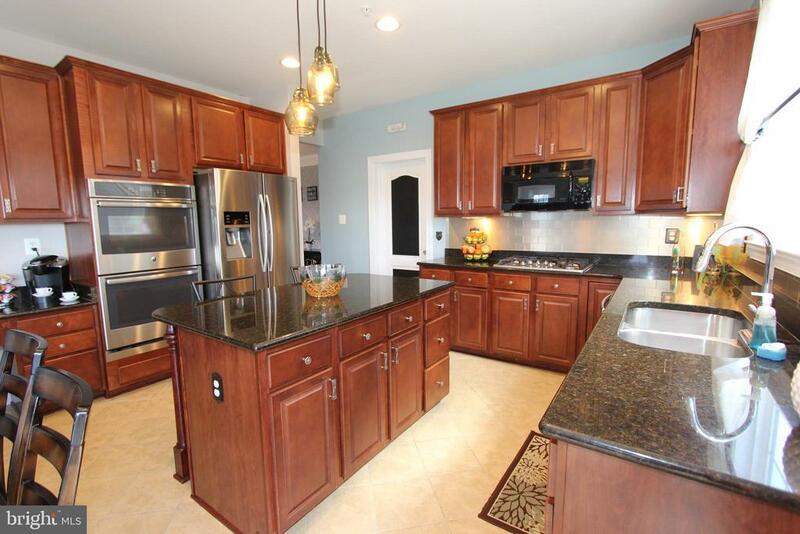 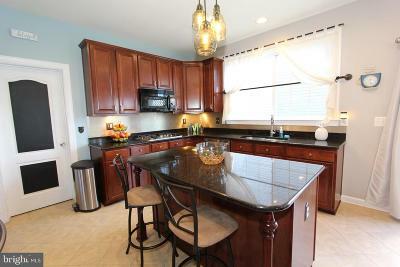 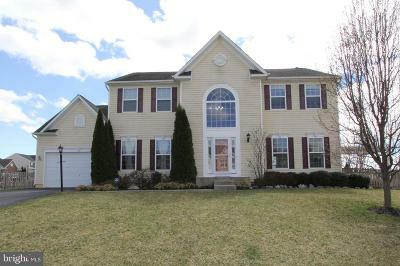 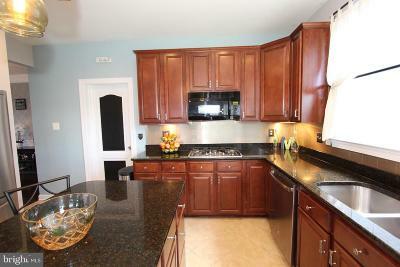 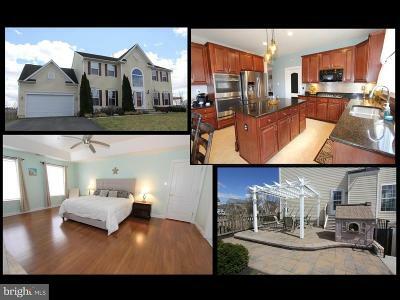 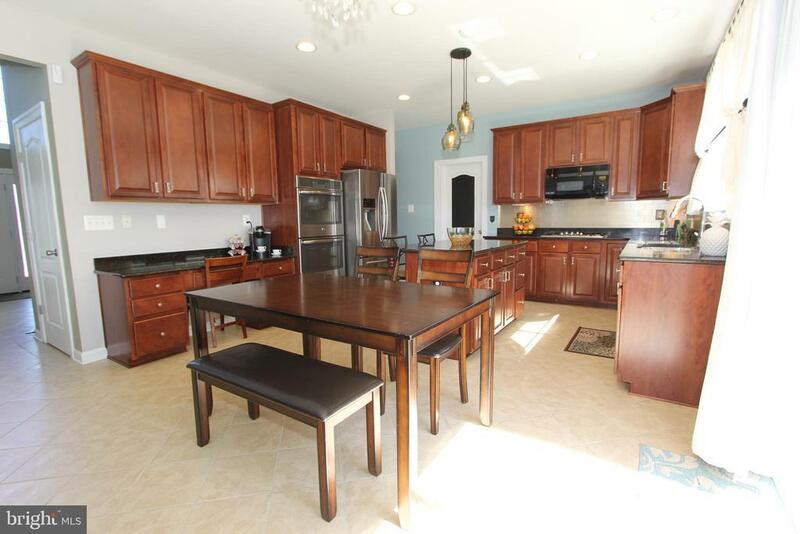 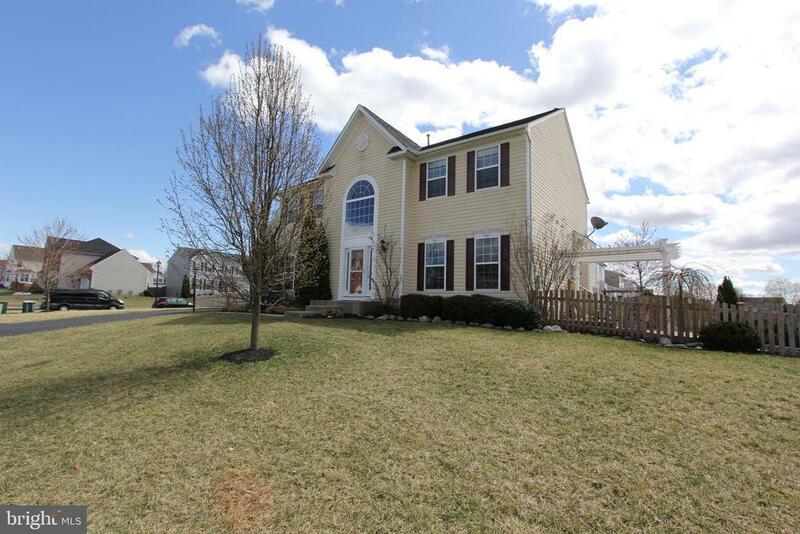 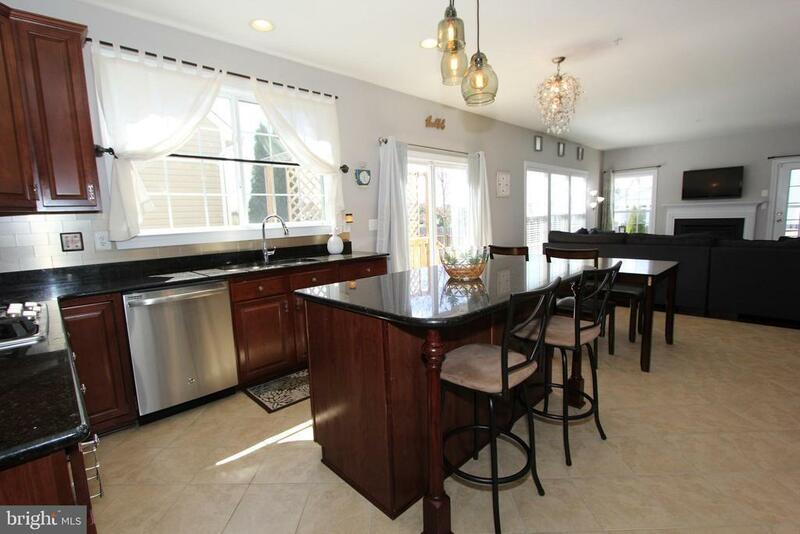 Gorgeous 4BR, 2.5BA custom colonial with upgrades galore in fabulous Sun Meadow! 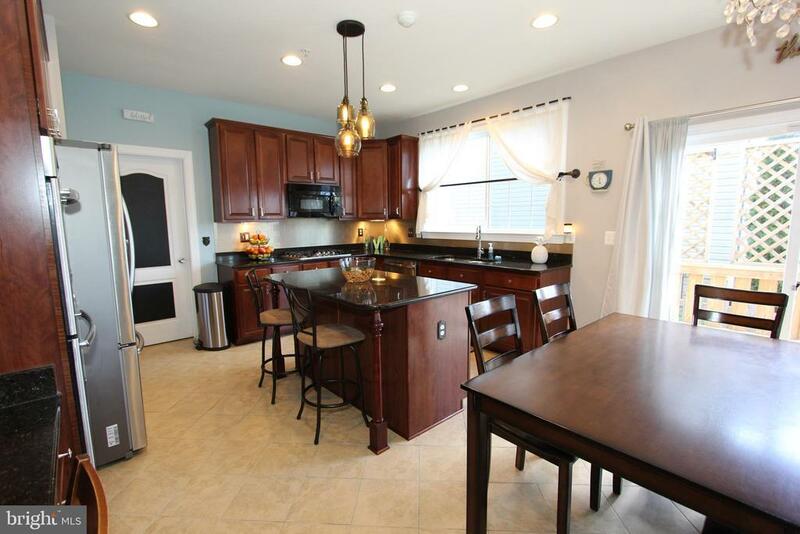 Amazing kitchen features custom cabinets, granite counters, stainless steel appliances, recessed lighting, center-island with breakfast bar, gorgeous ceramic floors and casual dining area. 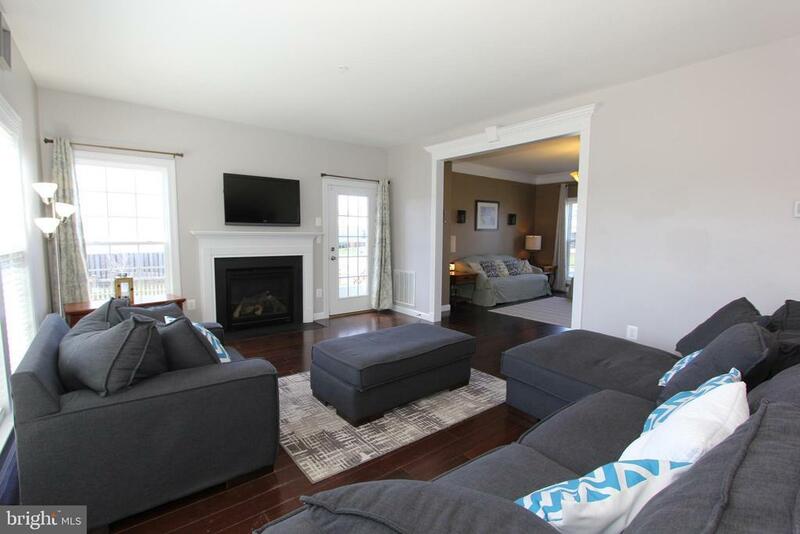 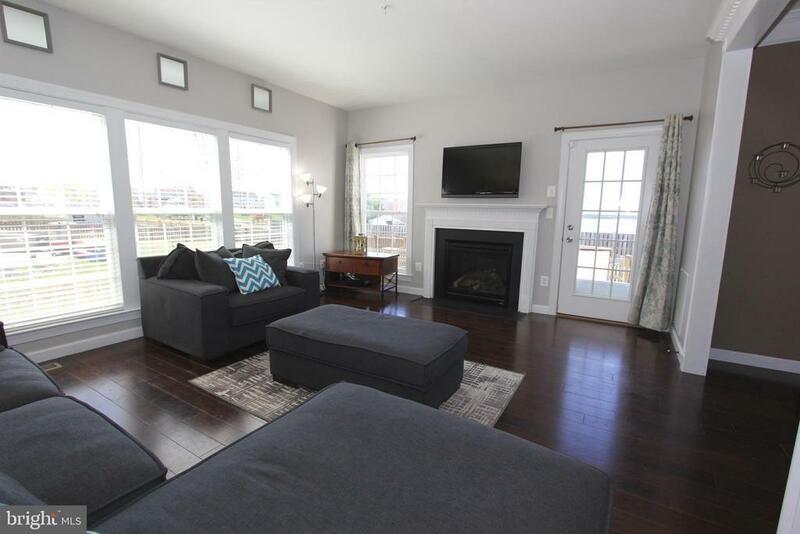 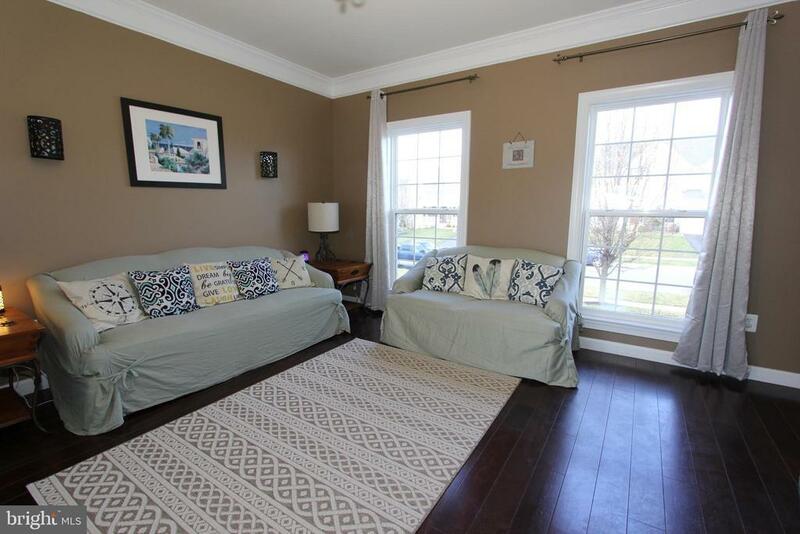 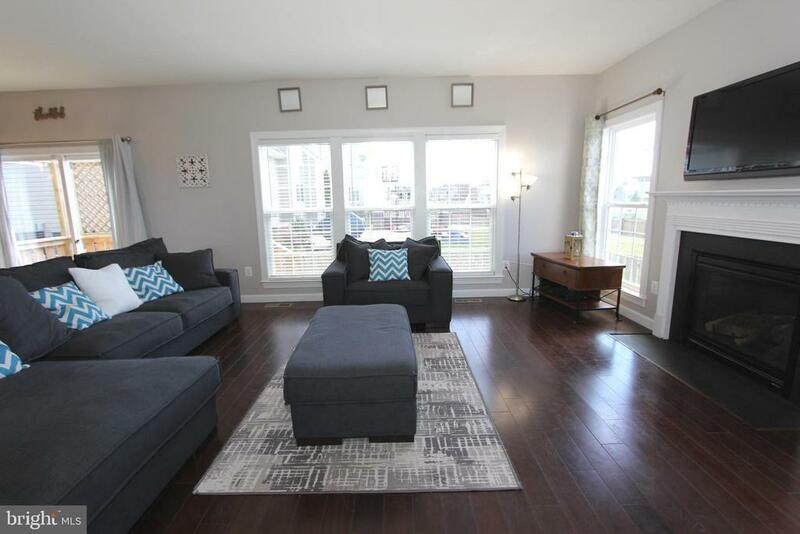 Spectacular family room is light and bright, and features a gas fireplace and gleaming hardwood floors. 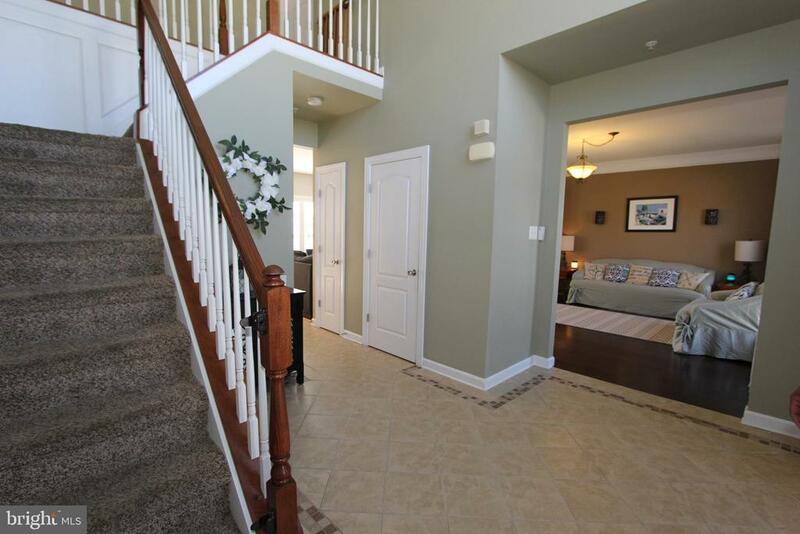 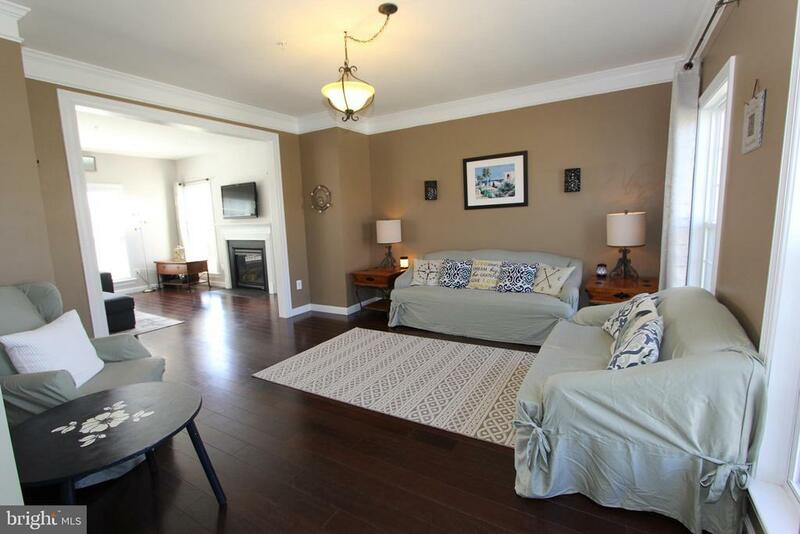 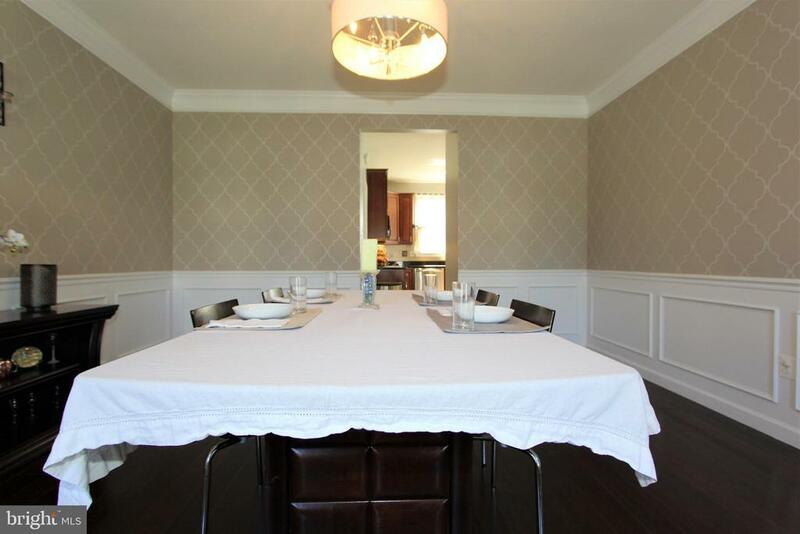 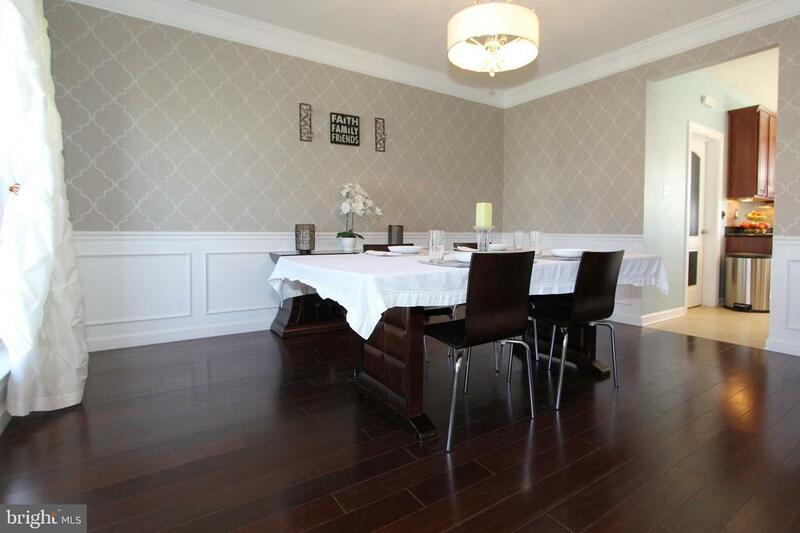 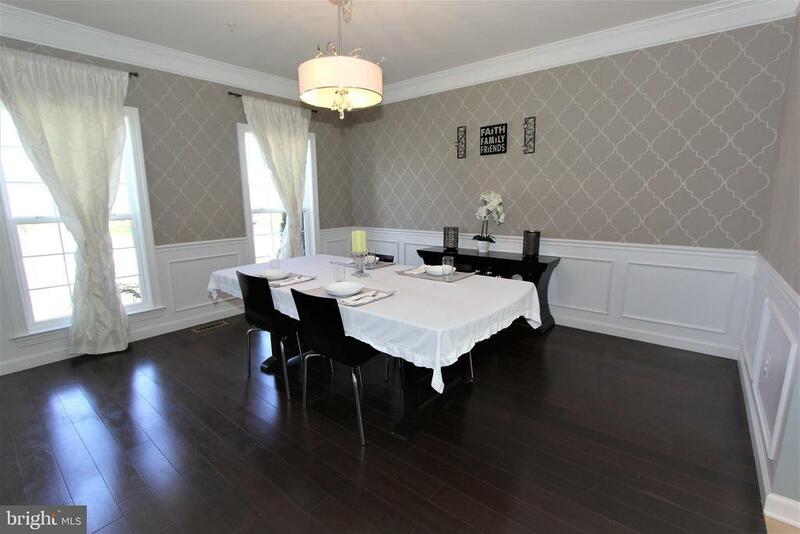 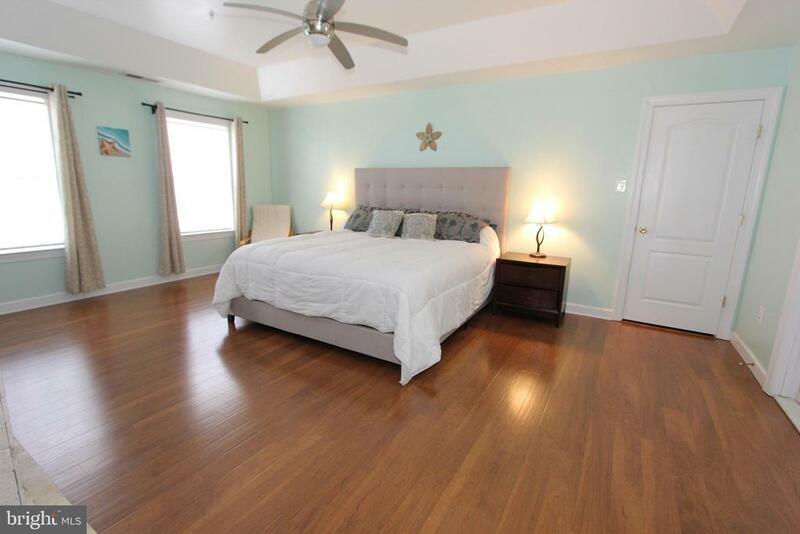 Formal living anddining rooms have hardwood floors, custom mouldings and updated lighting. 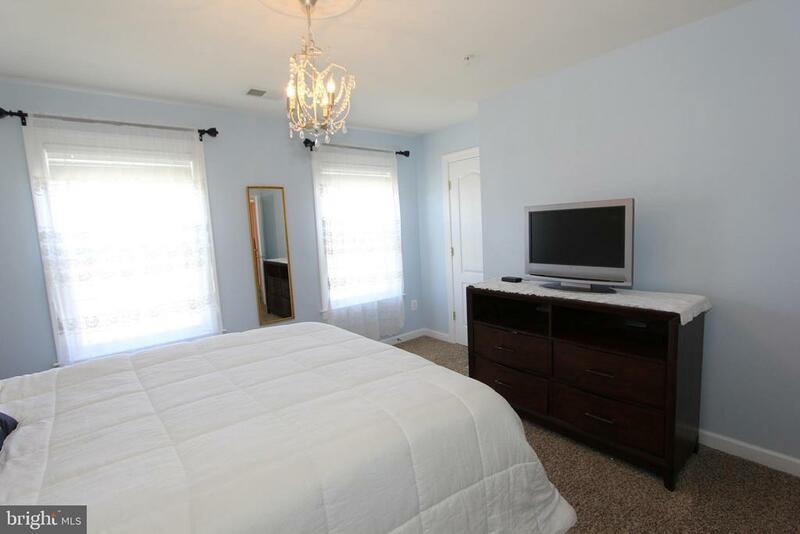 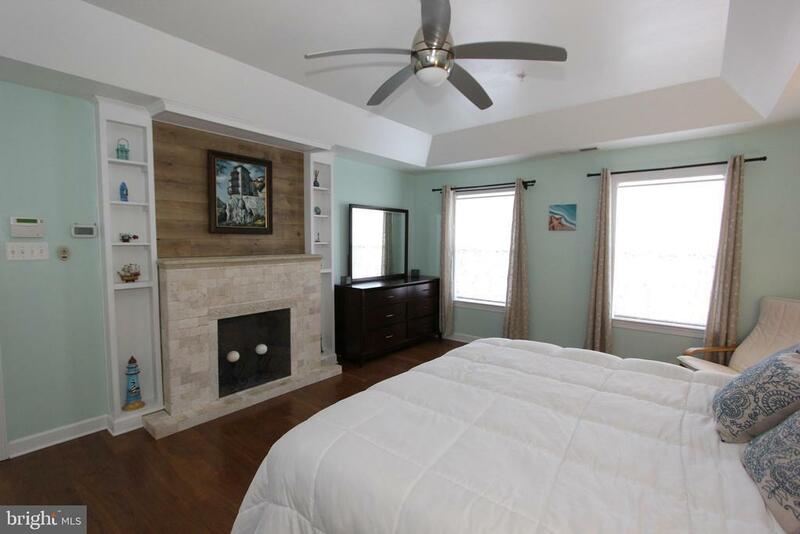 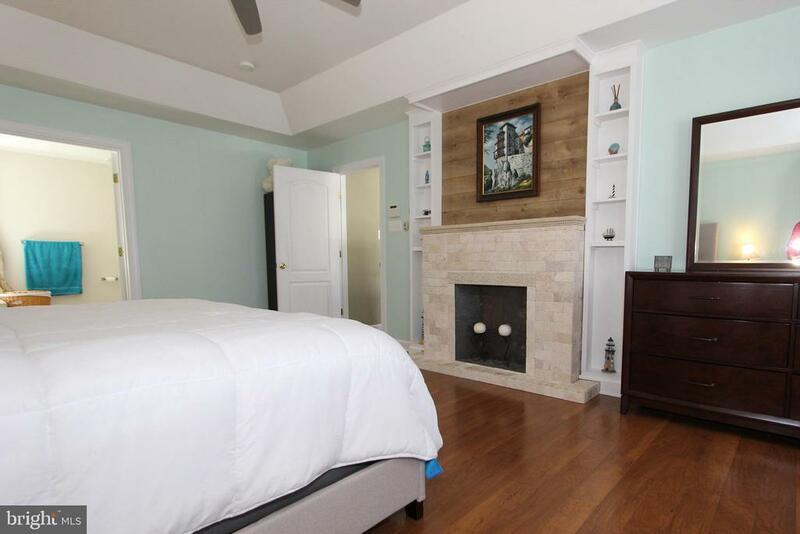 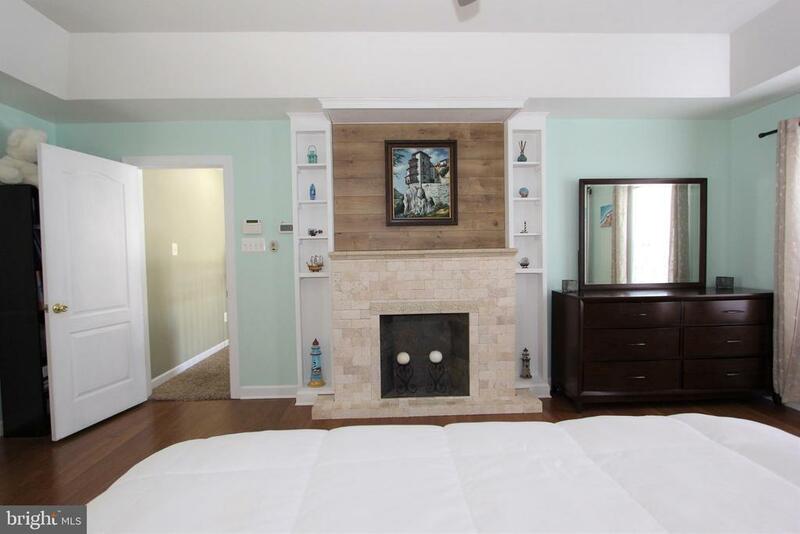 Huge owners suite features a 2nd fireplace, wood floors, tray ceiling with ceiling fan, huge walk-in closet & luxury bath with ceramic tile floors, wonderful soaking tub, separate shower, custom vanity with dual sinks and granite counter. 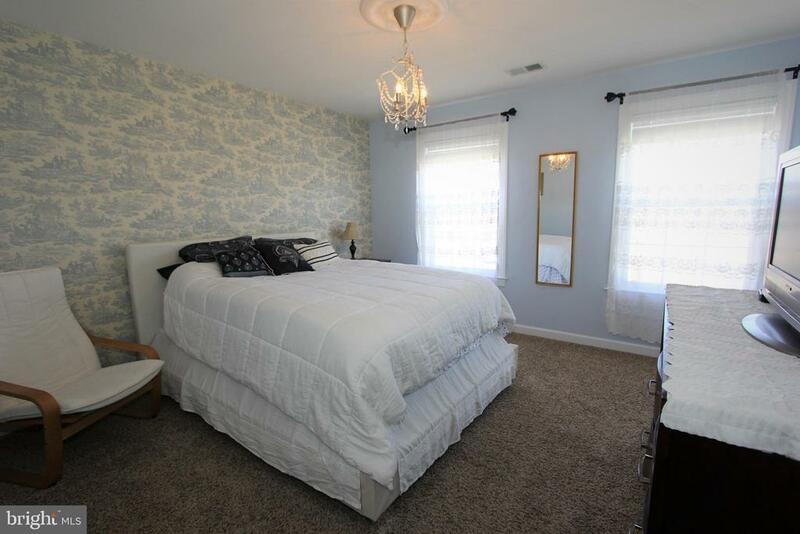 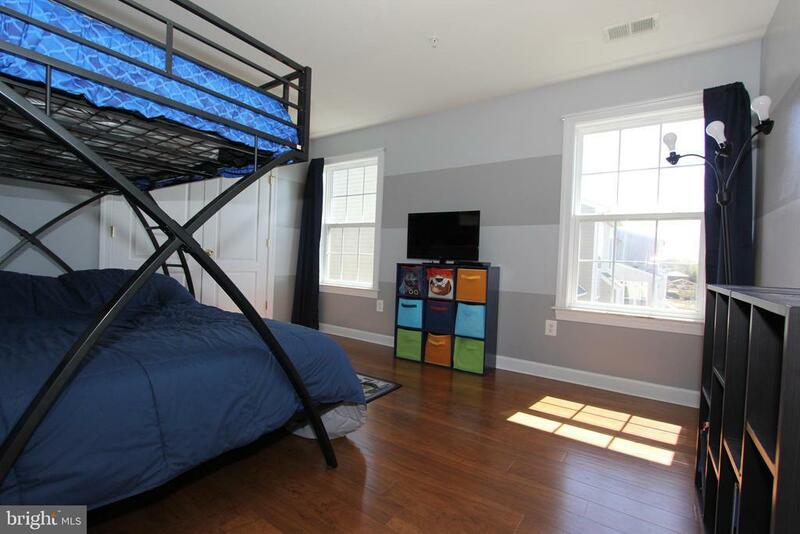 Completing the upstairs are three more large bedrooms and hall bath. 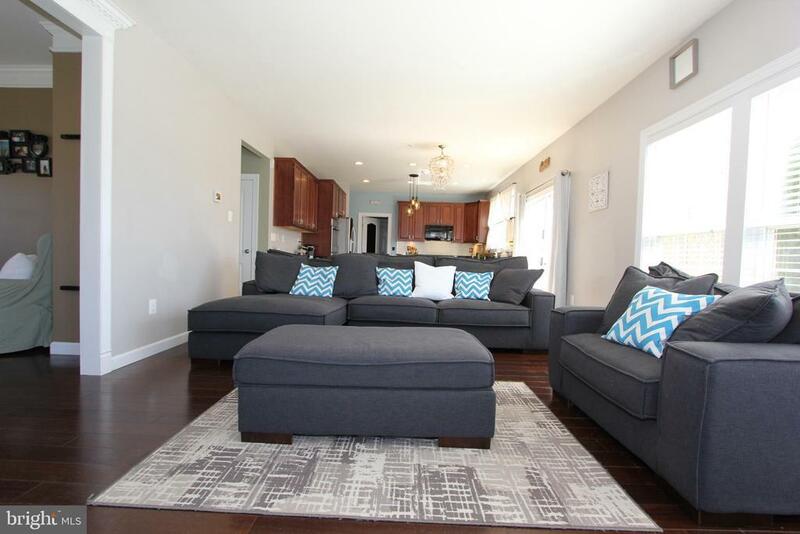 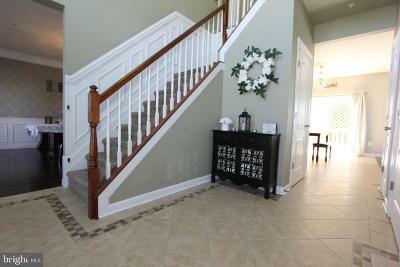 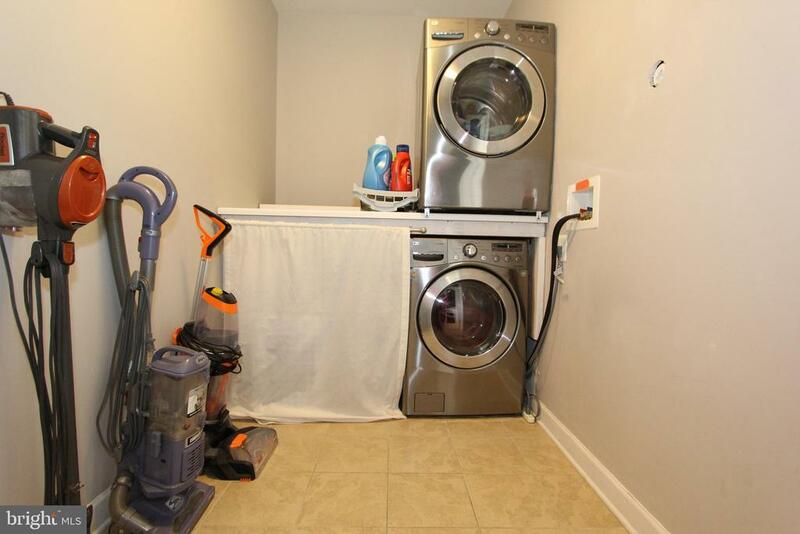 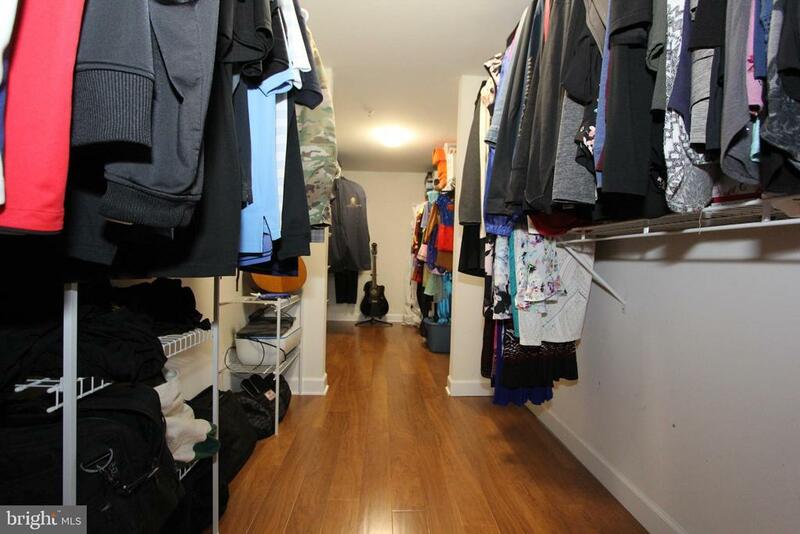 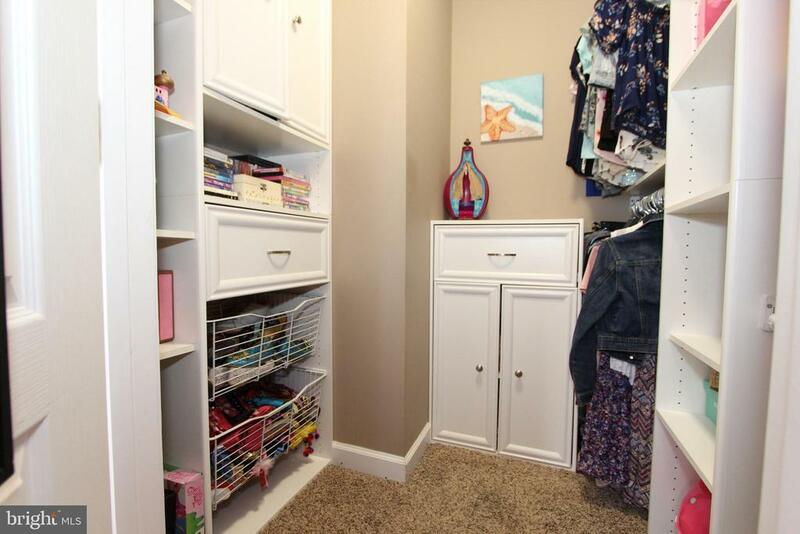 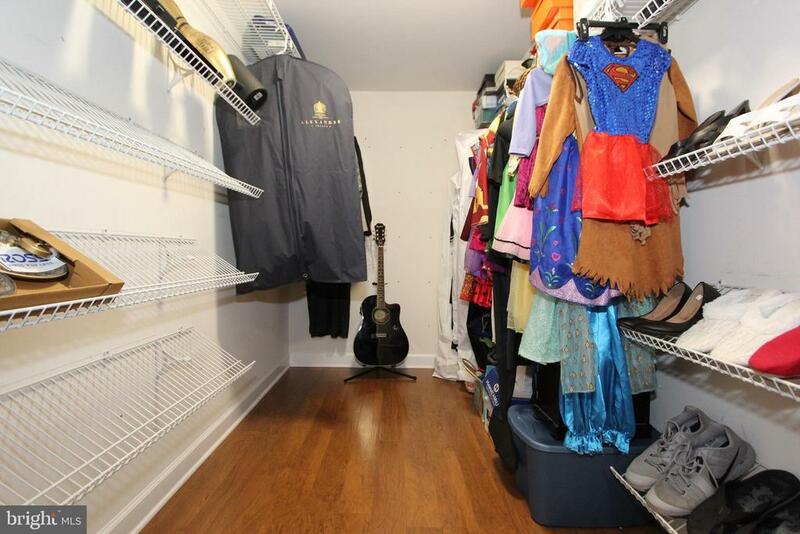 Full finished lower level offers lots of room for storage or play. 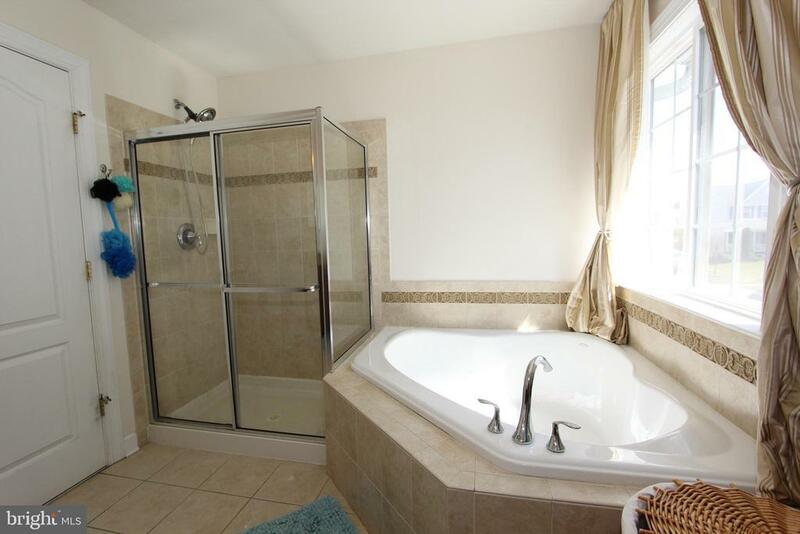 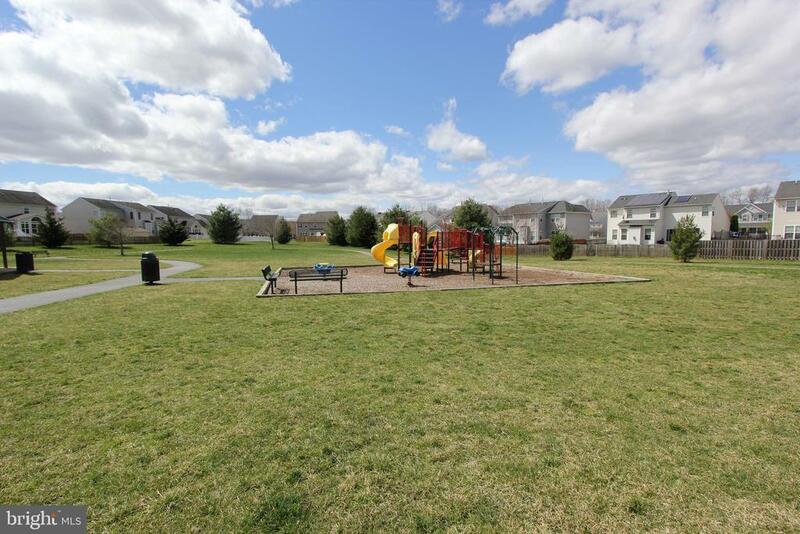 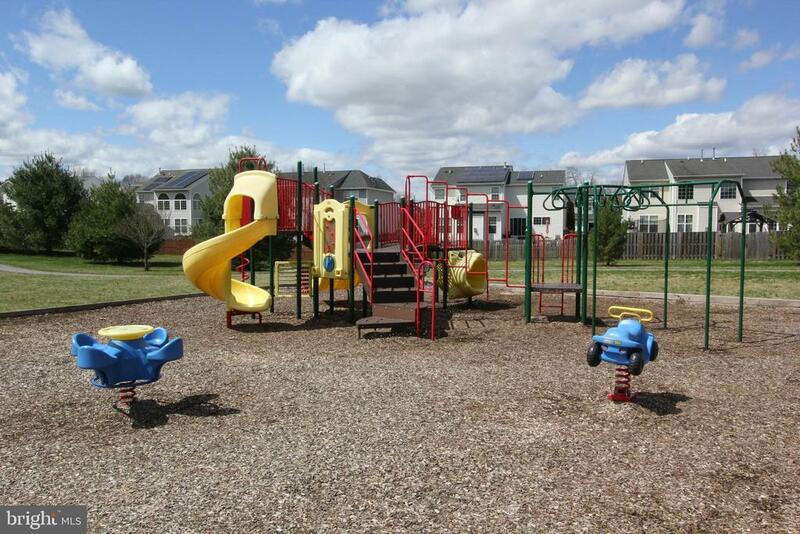 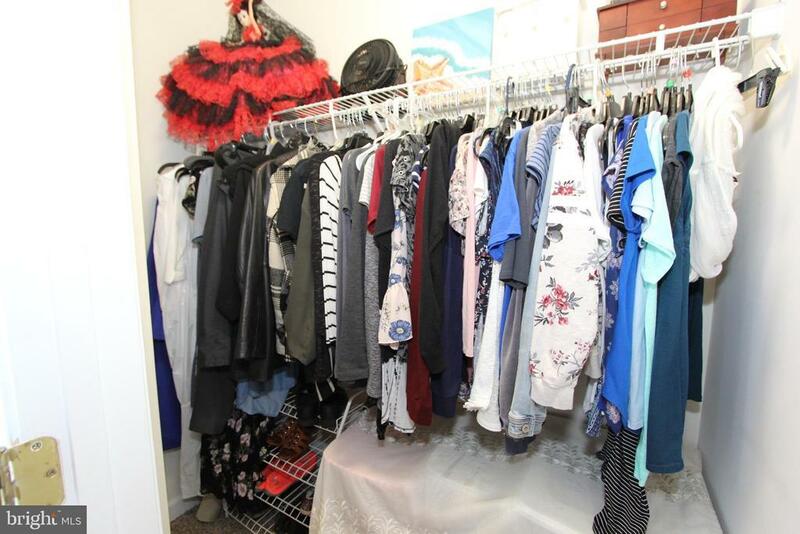 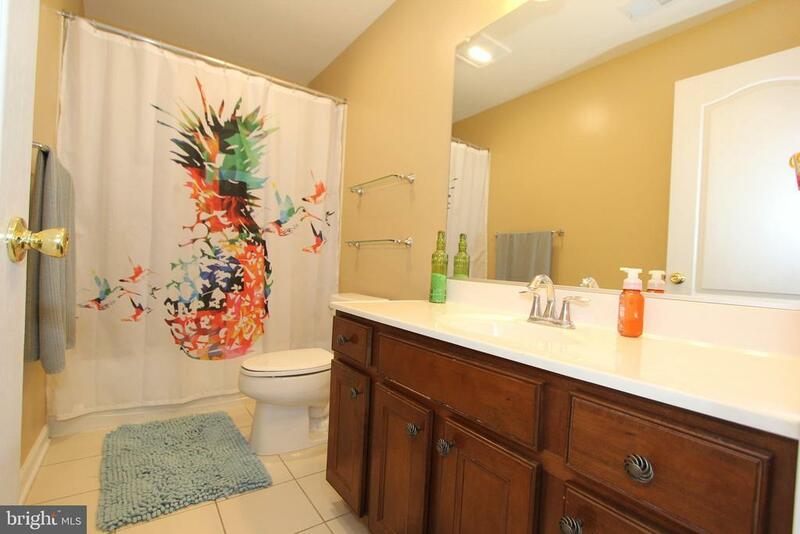 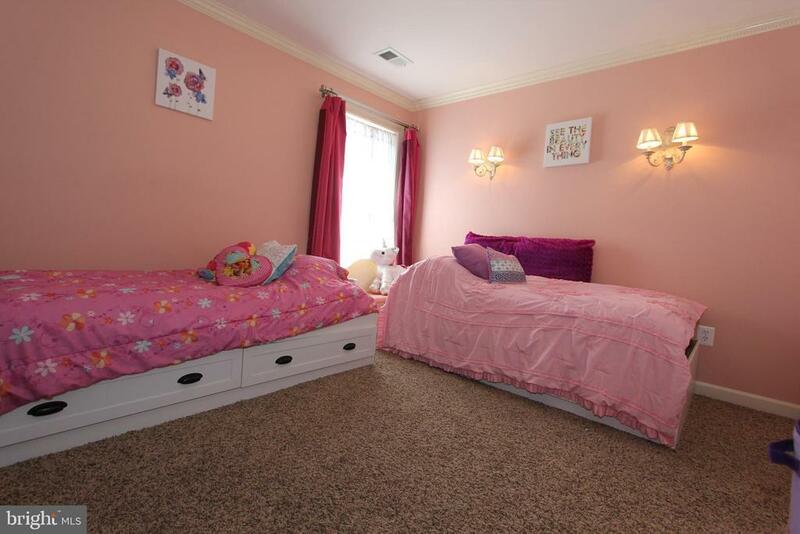 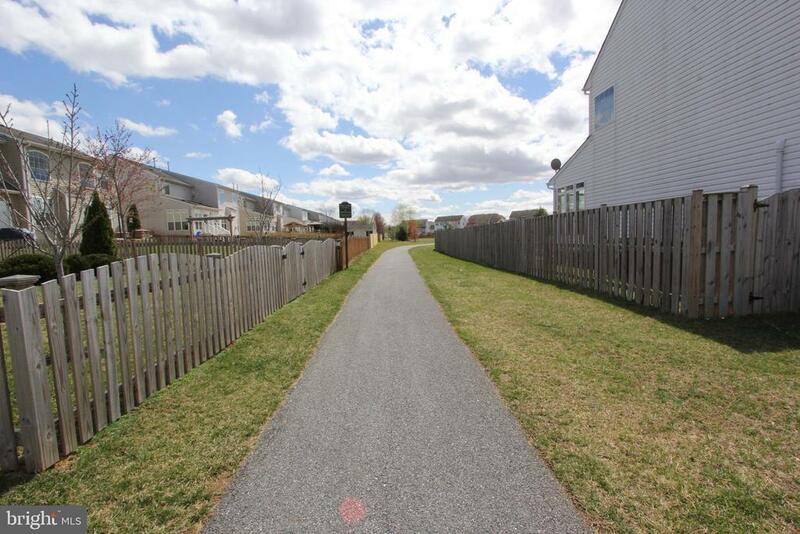 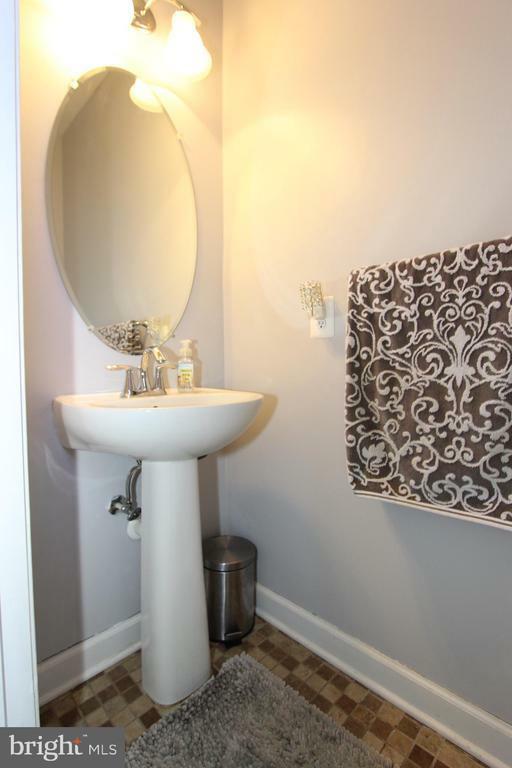 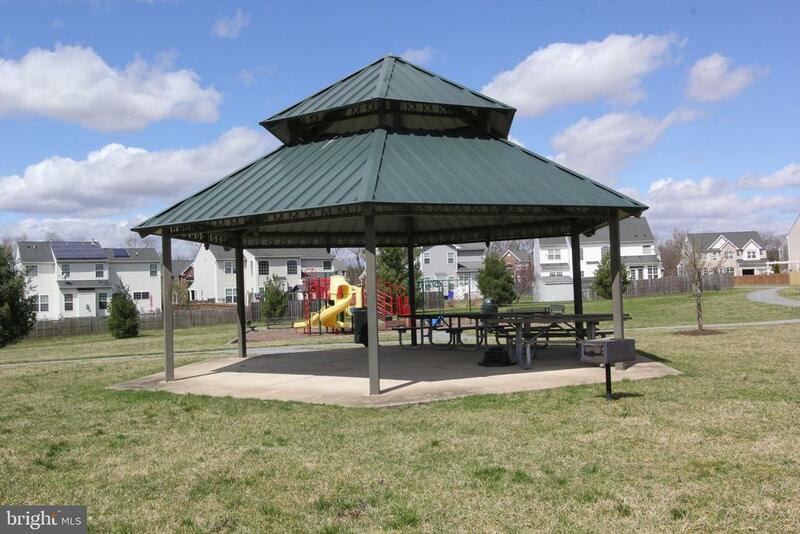 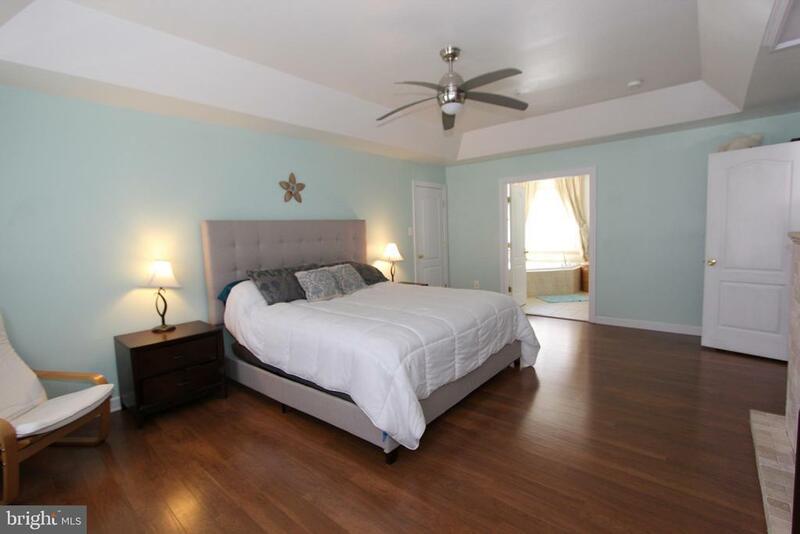 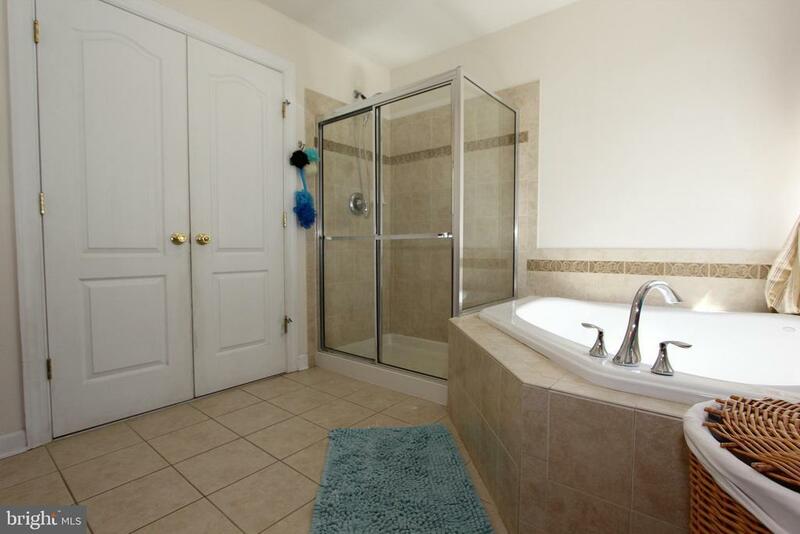 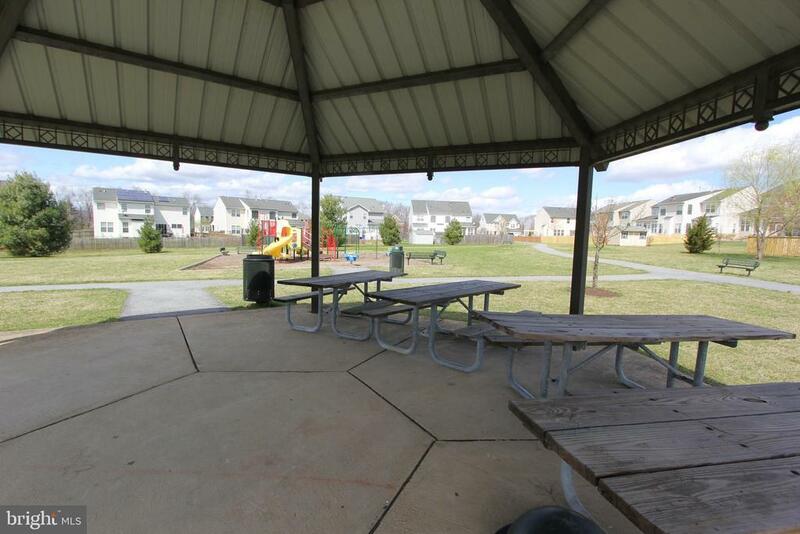 Property is immediately adjacent the neighborhood park, a perfect location. 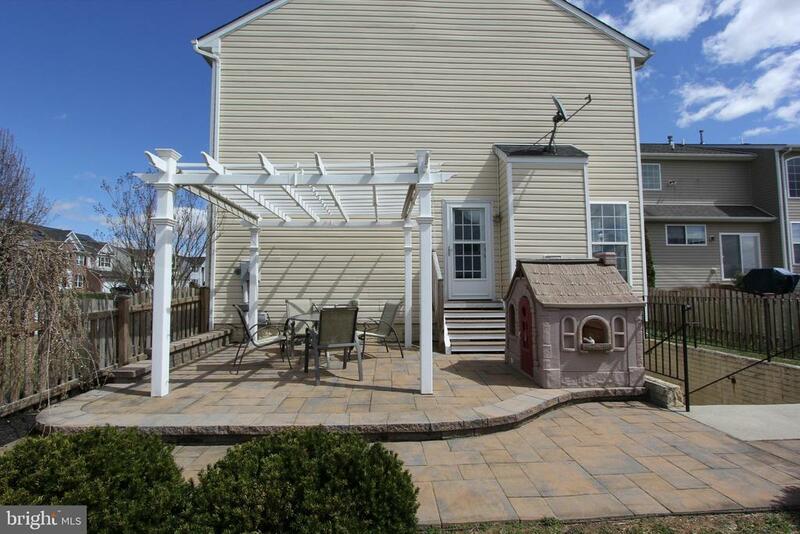 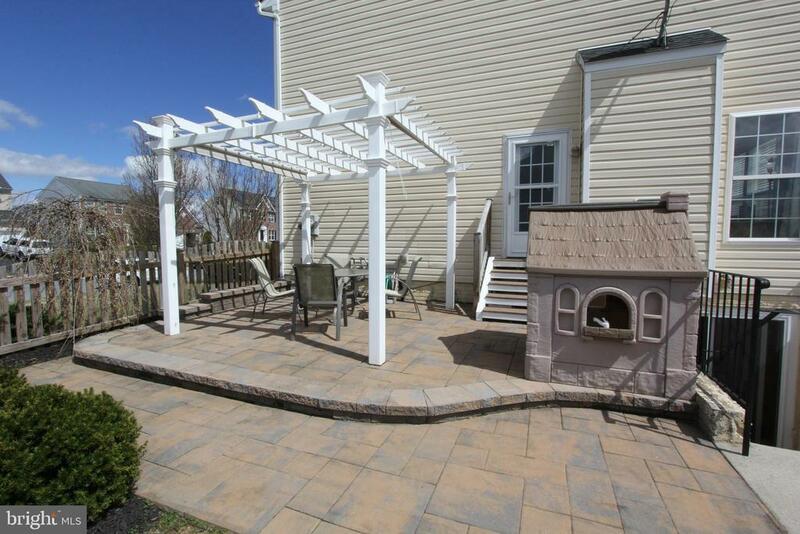 The property also features a fenced yard with private paver patio with trellis. 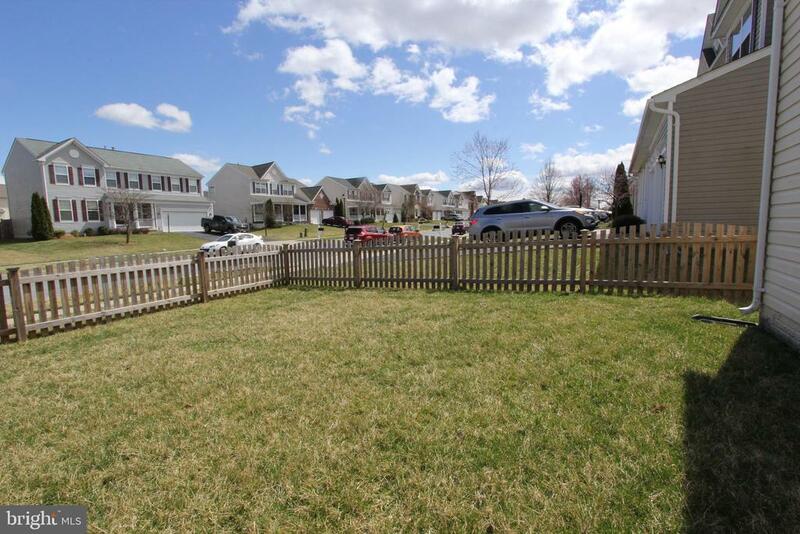 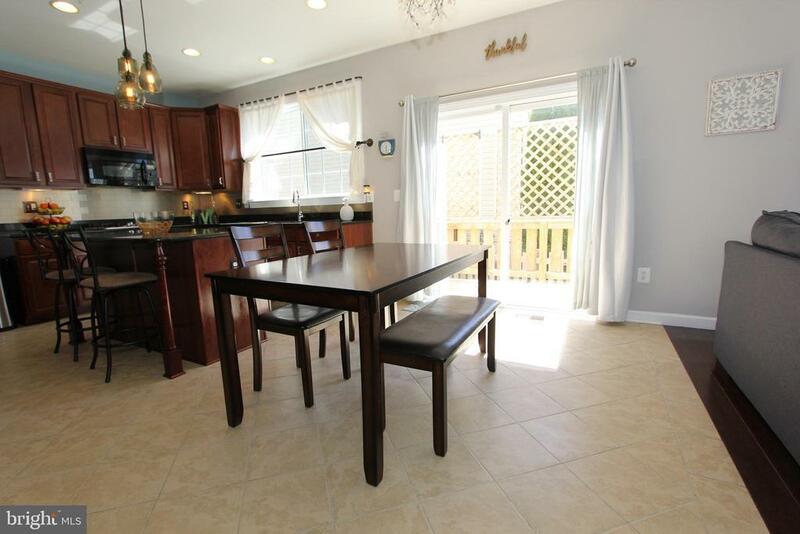 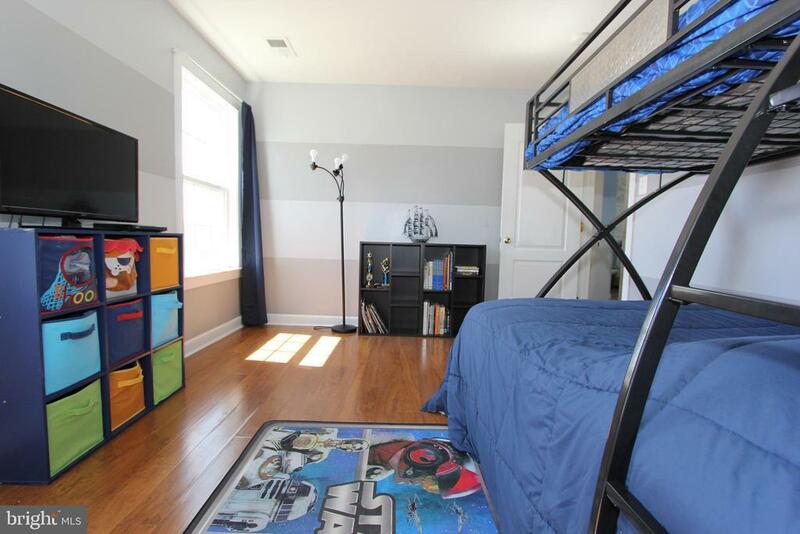 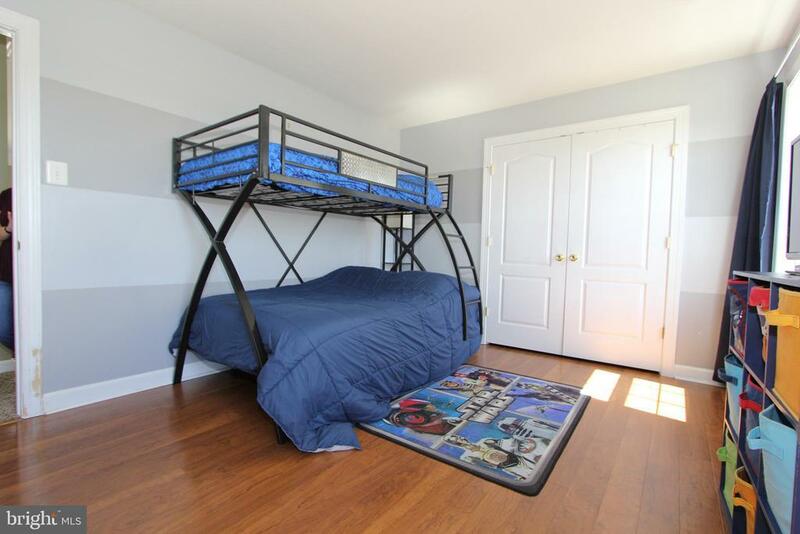 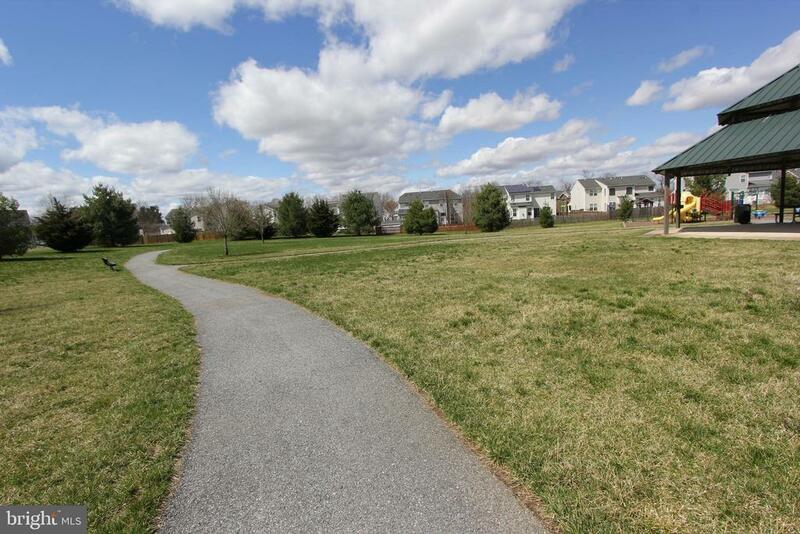 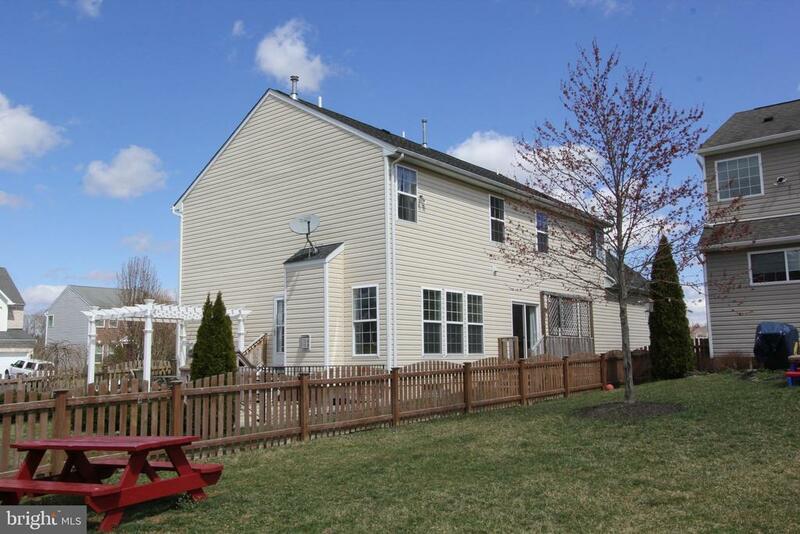 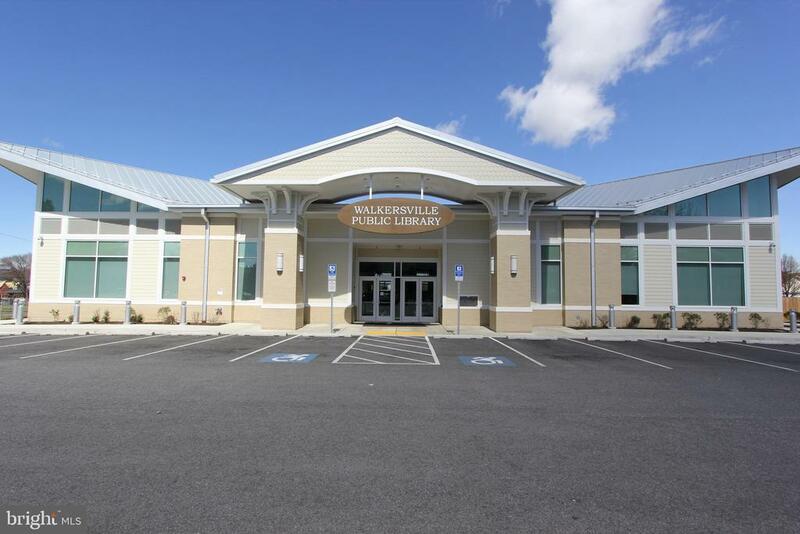 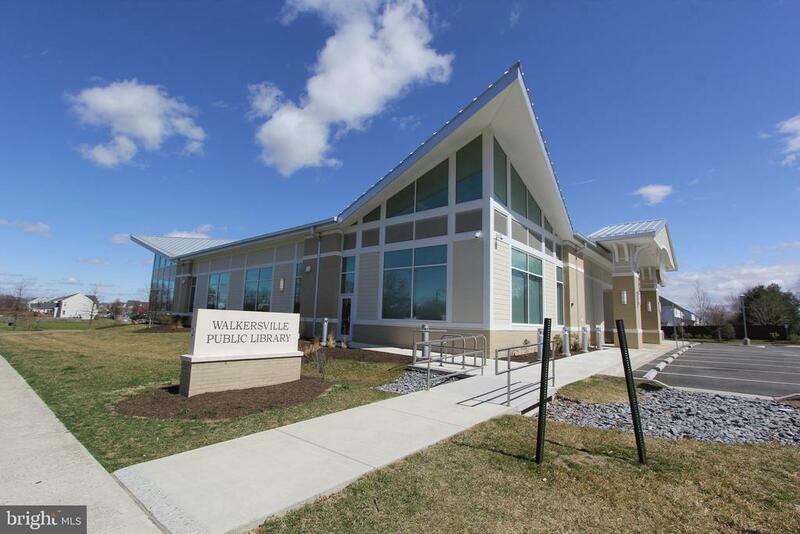 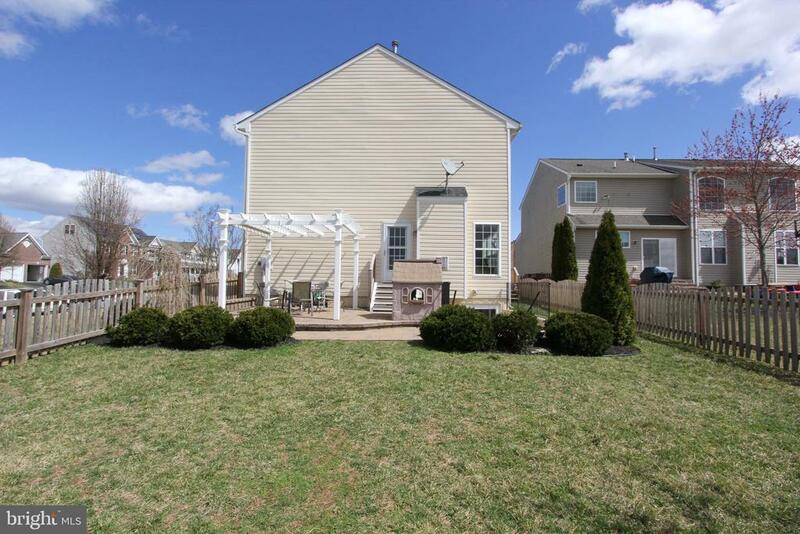 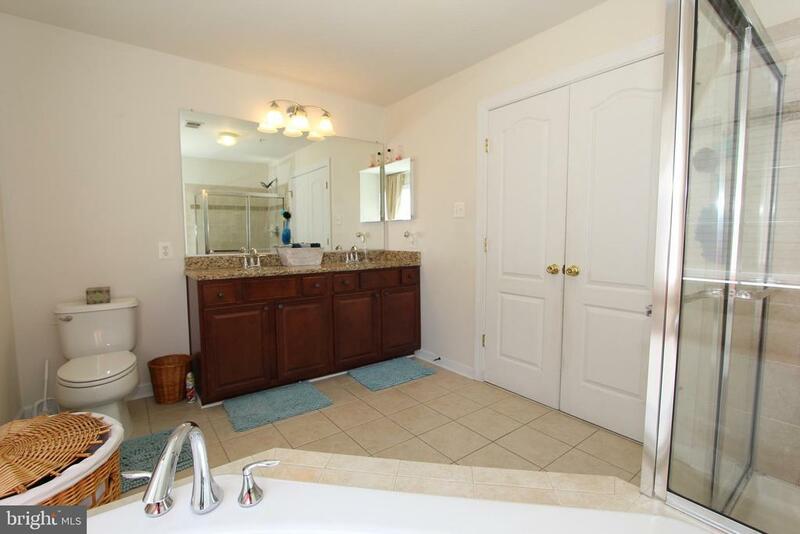 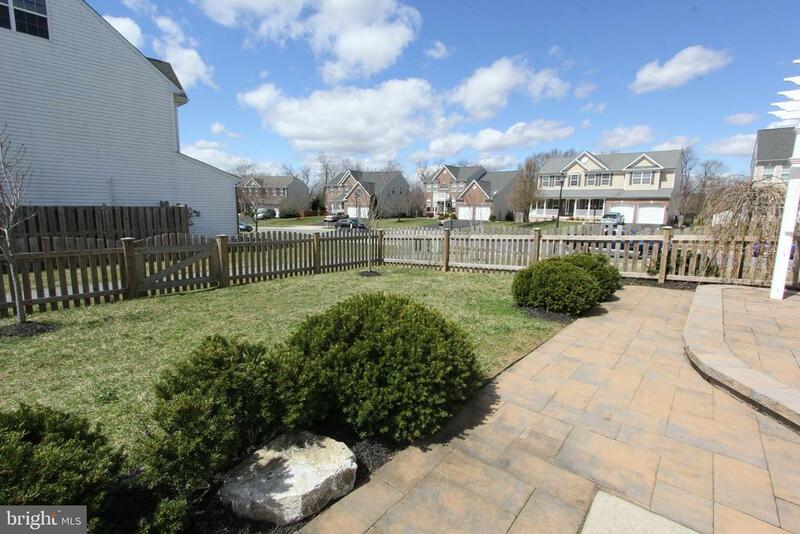 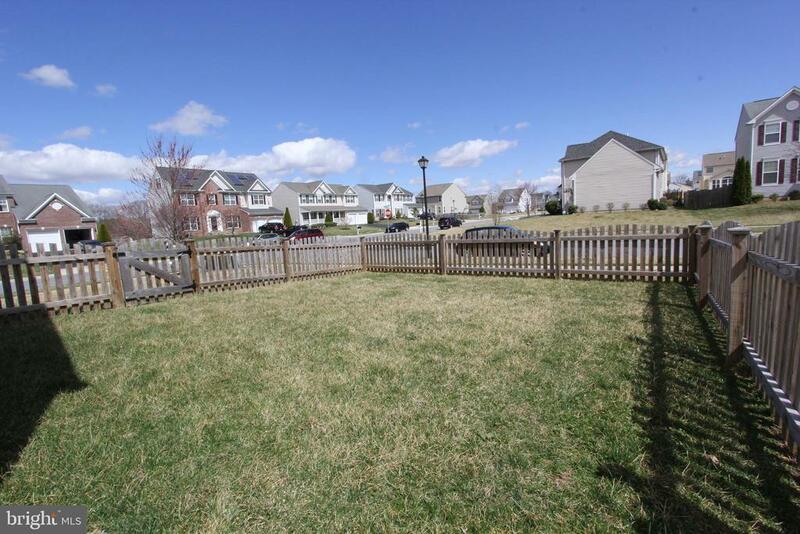 Great location, close to all commuting routes with Walkersville schools and low HOA. 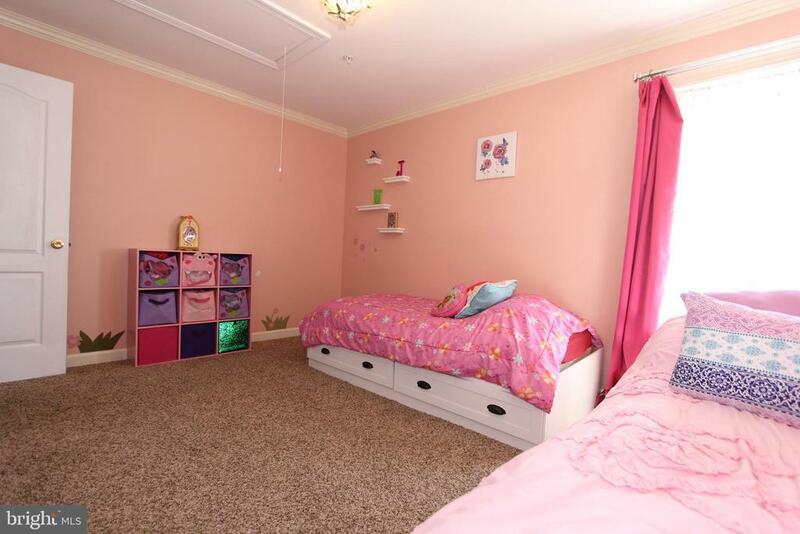 Youll love this home.